Responsibility for maintaining hard and software is beyond your own organization, which means that the internal IT department does not need to be engaged. Via WEB interfaces or APPar, different actors can access information from their area of responsibility and alarms can be transmitted via APP, SMS or email to pre-selected persons. Local authorities can follow energy consumption and follow up actions taken for different fellarms. 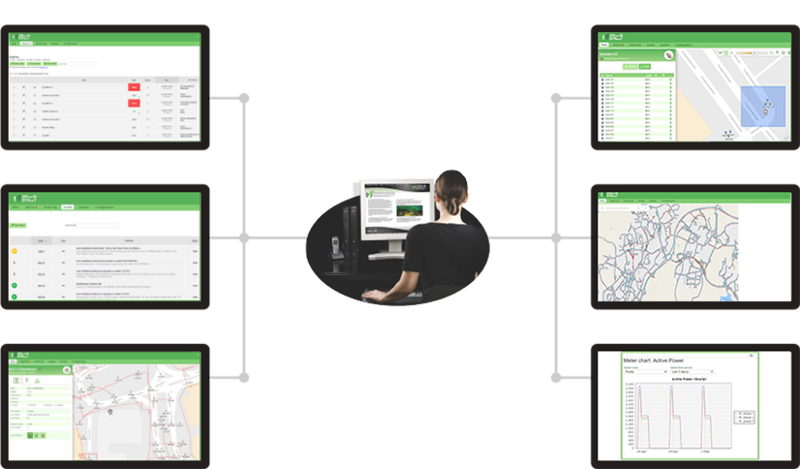 GREENSTREET Vision is well adapted for integration. A REST API opens up for integration with municipalities’ existing business and information systems. This has also opened up for integration of other protocols, such as the RSMP, which is a protocol used by Göteborg City and the Swedish Transport Administration.